Signarama Parramatta is your full service sign centre. 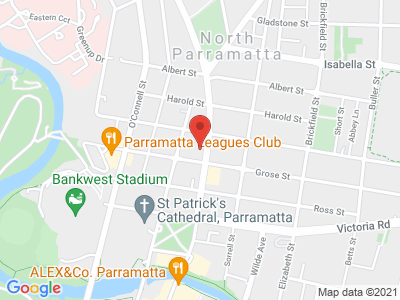 Since 1998, the team have been producing quality signage for businesses throughout Parramtta, Rosehill, Granville, Northmead, North Parramatta, Telopea, Camellia, Auburn, Silverwater and surrounds. All Signarama stores are independently owned and operated, yet we are all part of the world's largest sign network, with over 850 stores worldwide and more than 100 across Australia - making us Australia's largest signage company also. Rob and his team can consult, design, manufacture and install all types of signage, including: A-Frame Signs, Banners, Car Signs, Decals, Exhibition Signage, Flags, Building Signs, Factory Signage, Reception Signs, Vehicle Wraps, Neon Signs, Raised Lettering and so much more. We want to take the mystique out of signage and allow you to get back to doing what you do best - running your own business! Let us worry about your next signage project - it's what we do!